Real savings. Highest quality. Every day. 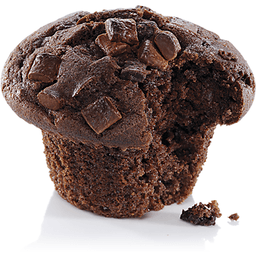 Per 1 Muffin: 120 calories; 0 g sat fat (0% DV); 380 mg sodium (16% DV); 2 g sugars. Great products at a price you'll love - that's Essential Everyday. Our goal is to provide the products your family wants, at a substantial savings versus comparable brands. We're so confident that you'll love Essential Everyday, we stand behind our products with a 100% satisfaction guarantee. Contact us at www.essentialeveryday.com or 1-877-932-7948. 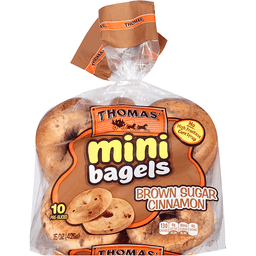 Per 1 Bagel: 220 calories; 0 g sat fat (0% DV); 400 mg sodium (18% DV); 3 g total sugars. 5 count. Water boiled. Hearth baked. 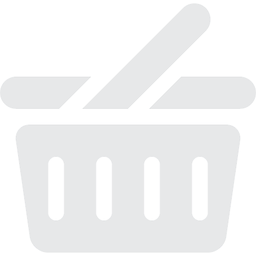 Great products at a price you'll love - thats Essential Everyday. Our goal is to provide the products your family wants, at a substantial savings versus comparable brands. Were so confident that you'll love Essential Everyday, we stand behind our products with a 100% satisfaction guarantee. If youre not completely satisfied with this product, please contact us at www.essentialeveryday.com or 1-877-932-7948. Product of USA. 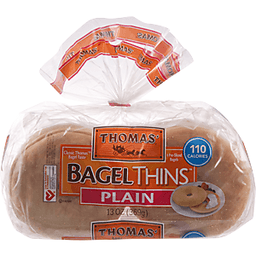 1/3 fewer calories than Country Hearth Plain English Muffins. We can all make a difference! Plastic bags are recycled into many different products. Most plastic bags are recycled into composite decking but can also be reprocessed into post consumer resin which can be recycled into a variety of products such as new bags, pallets, containers and crates. Go Green: Please recycle me with your grocery store bags. 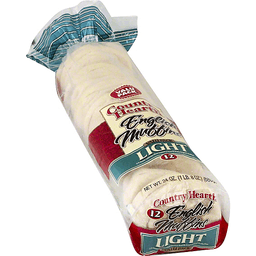 Thank you for choosing Country Hearth English Muffins. Country Hearth bakers have been making the finest baked goods in the Upper Midwest since 1906. 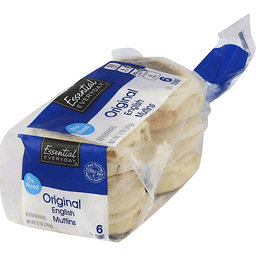 We bake our English Muffins on a special griddle to give them a porous texture for perfect toasting. This makes them uniquely crisp and flavorful. 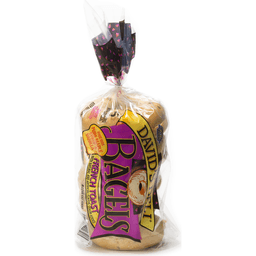 We're sure you and your family will enjoy eating your Country Hearth English Muffins as much as we enjoyed baking them for you. www.panogold.com. We can all make a difference! Plastic bags are recycled into many different products. Most plastic bags are recycled into composite decking but can also be reprocessed into post consumer resin which can be recycled into a variety of products such as new bags, pallets, containers and crates. Go Green: Please recycle me with your grocery store bags. 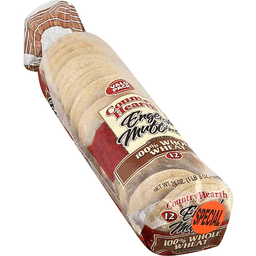 Thank you for choosing Country Hearth English Muffins. 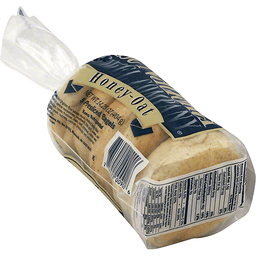 Country Hearth bakers have been making the finest baked goods in the Upper Midwest since 1906. 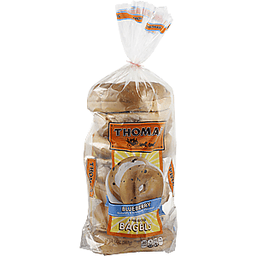 We bake our English Muffins on a special griddle to give them a porous texture for perfect toasting. This makes them uniquely crisp and flavorful. 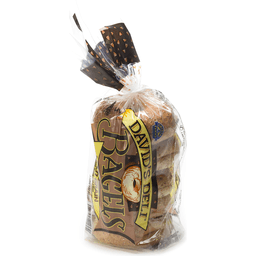 We're sure you and your family will enjoy eating your Country Hearth English Muffins as much as we enjoyed baking them for you. www.panogold.com. We're 100 years behind the times. www.panogold.com. We can all make a difference! Plastic bags are recycled into many different products. Most plastic bags are recycled into composite decking but can also be reprocessed into post consumer resin which can be recycled into a variety of products such as new bags, pallets, containers and crates. Go green! Please recycle me with your grocery store bags. 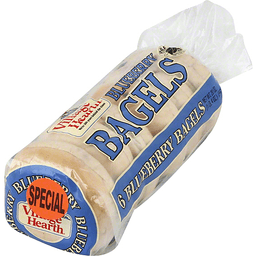 Village Hearth Bagels have the authentic crust and chewy texture which make the bagel an international favorite. 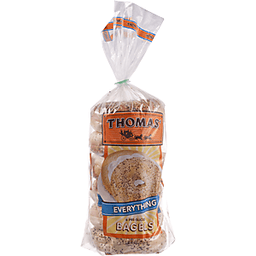 Enjoy it as a delicious, crunchy toast or a hearty, chewy sandwich. Great with any meal or as a snack. 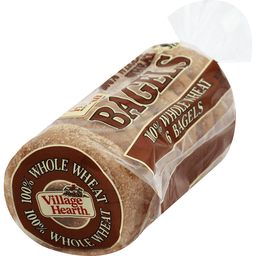 The entire line of Village Hearth Products is made with wholesome ingredients. Village Hearth Products give you and your family a real variety, all with a pleasing goodness that's not dry nor hard but still have the taste of good country cooking. 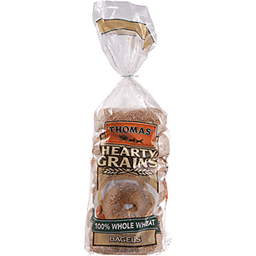 100% whole grain. No GMO. Certified gluten free. Dairy, soy & nut free. 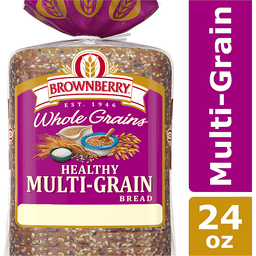 Whole Grain: 20 g or more per serving. WholeGrainsCouncil.org. Our mission is simple. We want you to love bread again. Our family is gluten free and we are passionate about making real food with wholesome, clean ingredients. 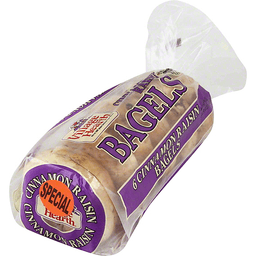 We bake bread the old fashioned was and use only 100% whole grains. Form our family bakehouse in the Rocky Mountains to your kitchen, enjoy eating without compromise. 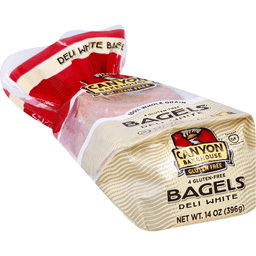 Please reach out and let us know if you love our new Deli White bagels! - Christi Skow. Loveland, Colorado. www.canyonbakehouse.com. We're 100 years behind the times. Plastic bags are recycled into many different products. Most plastic bags are recycled into composite decking but can also be reprocessed into post consumer resin which can be recycled into a variety of products such as new bags, pallets, containers and crates. Go Green: Please recycle me with your grocery store bags. 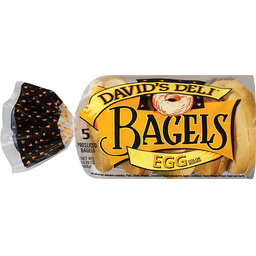 Village Hearth Bagels have the authentic crust and chewy texture which make the bagel an international favorite. 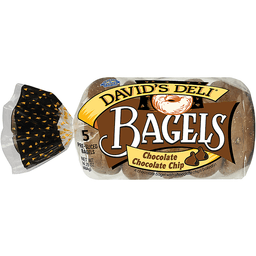 Enjoy it as a delicious, crunchy toast or a hearty, chewy sandwich. Great with any meal or as a snack. The entire line of Village Hearth Products is made with wholesome ingredients. Village Hearth Products give you and your family a real variety, all with a pleasing goodness that's not dry nor hard but still have the taste of good country cooking. www.pangold.com. 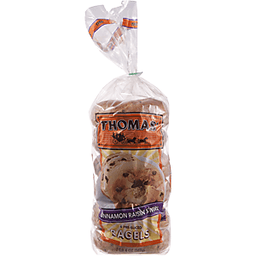 Thomas'® Bagels Maple French Toast. Limited Edition. Naturally & artificially flavored. 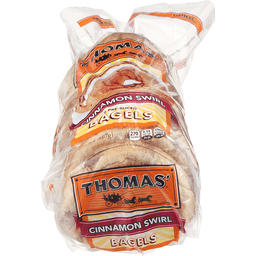 Start your morning with Thomas'® maple French toast bagels! Warm up your home with the delicious aroma of maple French toast made with a touch of real maple syrup. 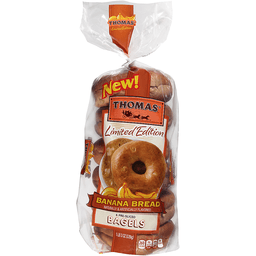 It's your favorite breakfast classic in a new way that your entire family will enjoy. 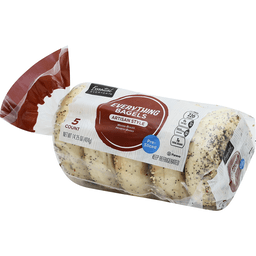 Hurry, these delicious English muffins are only available for a limited time, so grab them before they're gone! 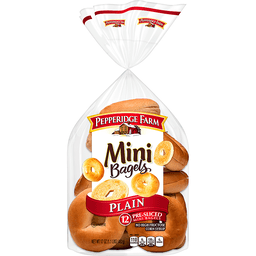 Per 1 bagel serving: 250 calories. 0g sat fat, 0% DV. 400mg sodium, 17% DV. 8g sugars. 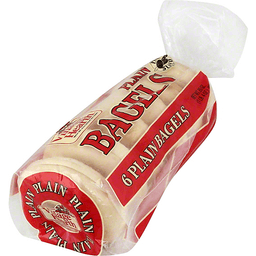 6 pre sliced bagels. Specialty Bakers Since 1880. 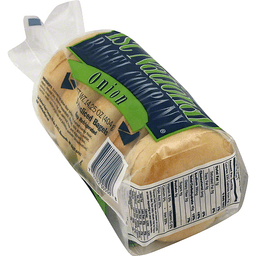 We welcome your questions or comments about this product call 1-800-984-0989, Consumer Relations Department. When writing, please include the "best by" date and coding as well as the bar code and numbers. 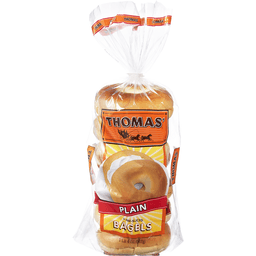 Visit us at www.thomasbreakfast.com. ©All Rights Reserved, www.thomasbreakfast.com.